I finally made it to the pink wall! Okay, I did it. 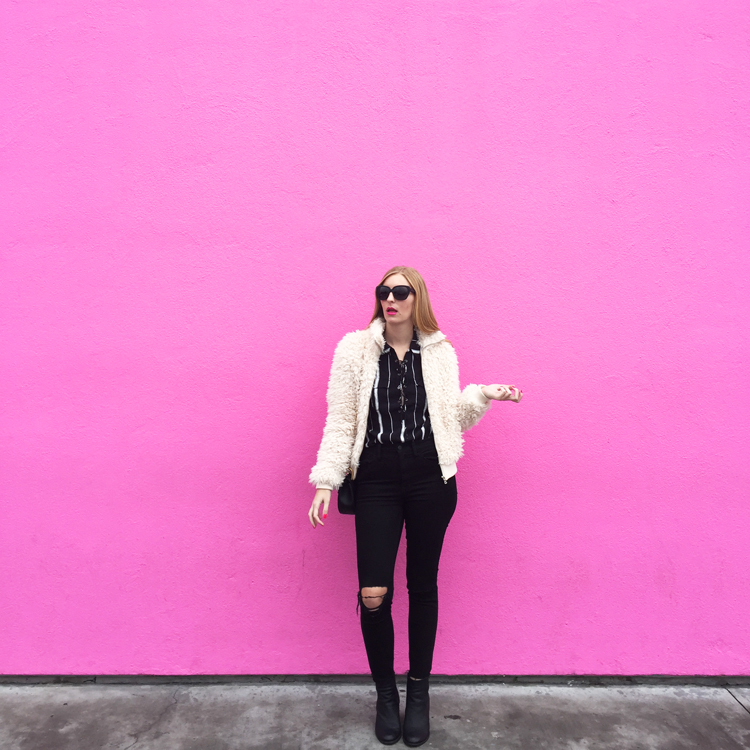 I can quit my blog now and be content because after four and a half years of living in Los Angeles, I finally made it to the Paul Smith wall! 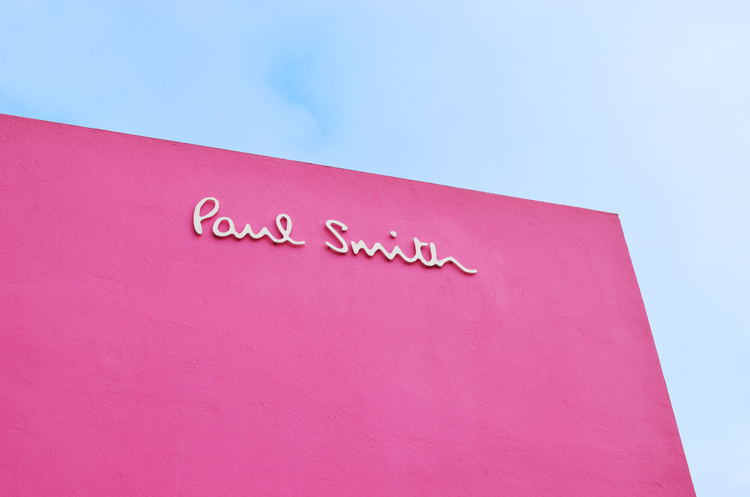 Otherwise known as "That One Pink Wall on Instagram" the Paul Smith store on Melrose is a mecca for fashion bloggers and hip LA peeps in need of a colorful backdrop for their photos. Anyways, some of these pictures are taken with an iPhone, hence why they may seem a little low-quality compared to my usual DSLR pics! It was a rare rainy day in LA when we shot this look, so I bundled up in my fuzzy faux-fur jacket from Forever 21 (I actually purchased it for my Halloween costume, but it has become one of my cold weather favorites since it's so darn cozy!) and donned an otherwise all-black outfit that would pop against the famous pink wall. 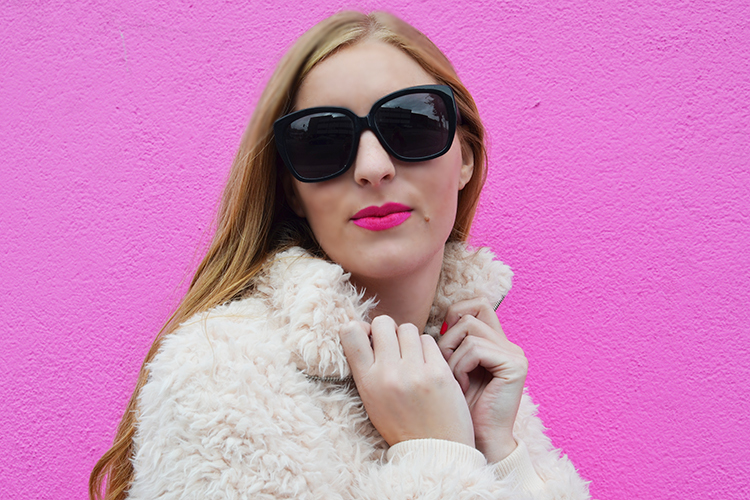 Furry coats have been all the rage this winter, and this look is a cool downtown way to wear a fur (or faux fur) jacket without feeling too over the top. 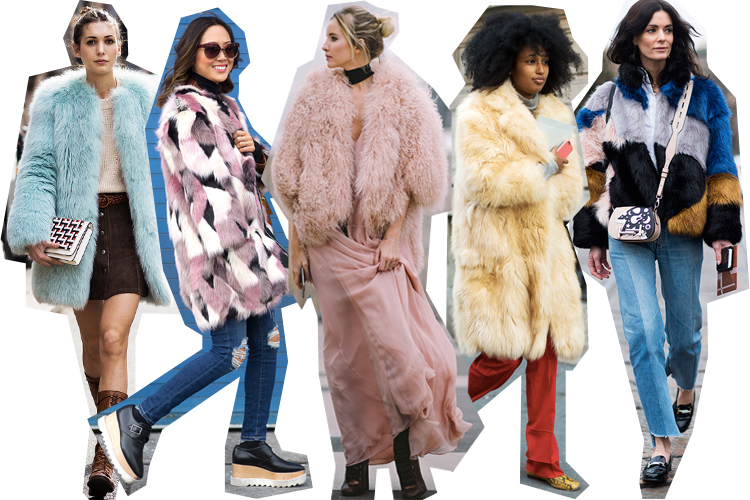 Keep scrolling for some more fur coat outfit inspiration, and check out how yours truly styled the trend! Photos by my fabulous friend Bree! How would you style a fur coat? 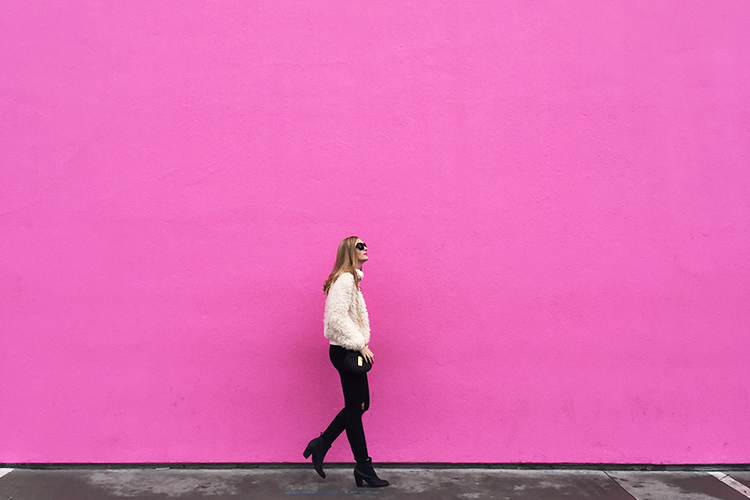 The pink wall is amazing! I have so many different pictures in front of it haha! I know! I get why so many people take pictures in front of it! Thanks for reading, Caitlin! I want to visit the wall!!! love your shooting girl! Yes, you must, Chiara! There are so many fun shops and cafes nearby too, so definitely check it out if you are in LA! 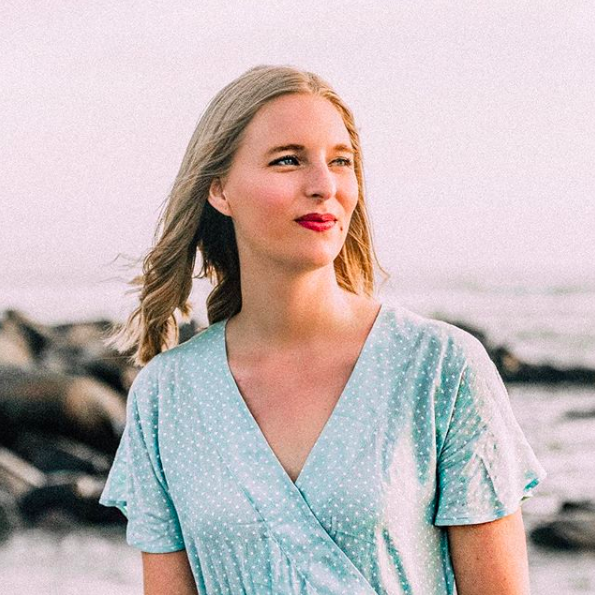 lol, I finally feel like a real LA fashion blogger :D Thanks for reading, Erin! That wall!! <3 Cute jacket! I wished I wore more pastels but I always tend to go for black jackets! Thanks for reading, Leslie! A pastel jacket (especially in a neutral-ish dusty pink) is a great pick if you're looking to add some color to your wardrobe.